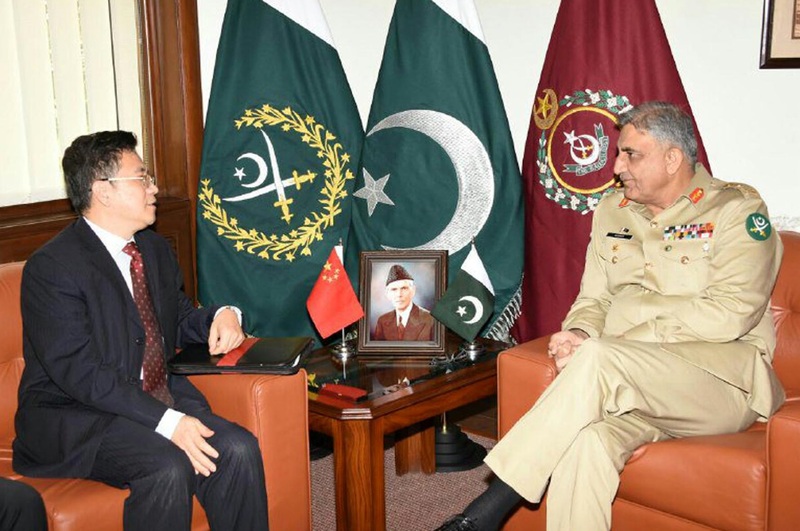 RAWALPINDI: China’s Special Envoy for Afghanistan Ambassador Deng Xijun called on Chief of Army Staff (COAS) General Qamar Javed Bajwa at the General Headquarters of the Pakistan Army here, according to the Inter-Services Public Relations (ISPR) on Friday. The military spokesperson said that matters of mutual interest including regional security issues with particular emphasis on Pak-Afghan border management and counter-terrorism efforts came under discussion during the meeting. The Chinese special envoy appreciated and acknowledged the Pakistan Army’s contributions and nation’s sacrifices in war on terror. On Thursday, US Central Command Chief General Joseph Votel, who was on a two-day visit to Islamabad, held wide-ranging talks with top military leadership including Joint Chiefs of Staff Committee Chairman General Zubair Hayat, General Bajwa and Inter-Services Intelligence (ISI) Director General Naveed Mukhtar. Gen Votel conveyed a message from the US administration that Pakistan must ‘prevent all militants from operating’ within and across its borders, according to a statement issued by the US Embassy. The ISPR said that the army chief emphasised that Pakistan had done its best in the fight against terrorism, despite constraints. He insisted that such efforts would continue for the sake of the country’s future, in line with the aspirations of Pakistani people. Despite Pakistan’s enormous efforts, Afghanistan was not doing enough to secure the border, he informed the visiting US general. This was evident from the continued attacks from across the border, he pointed out.